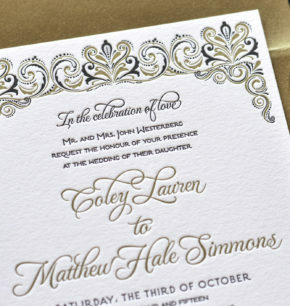 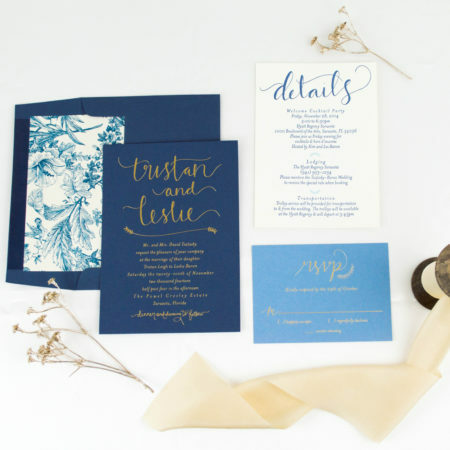 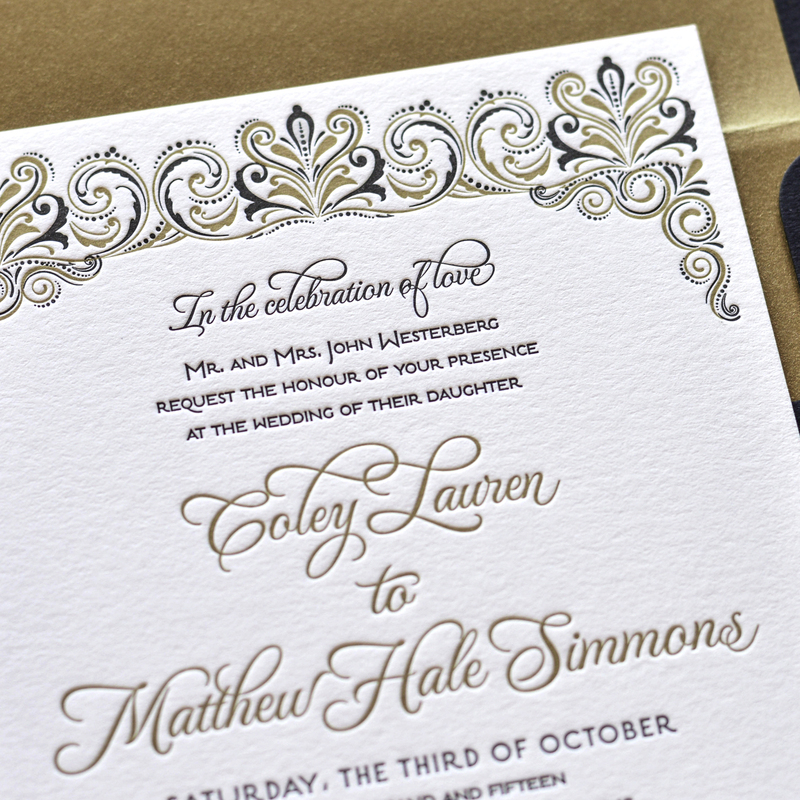 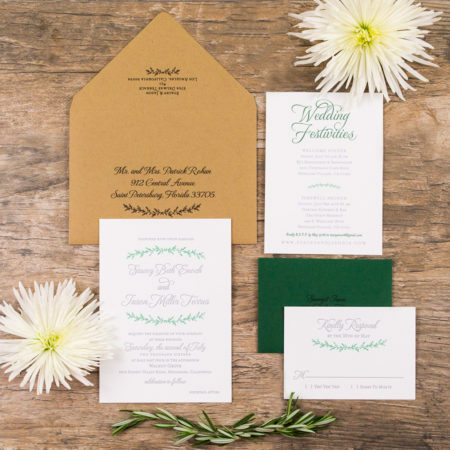 Coley & Matt wanted their wedding invites to display a swirls motif with an elegant and sophisticated feel. 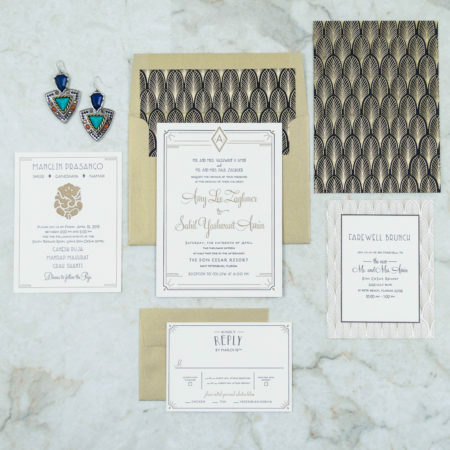 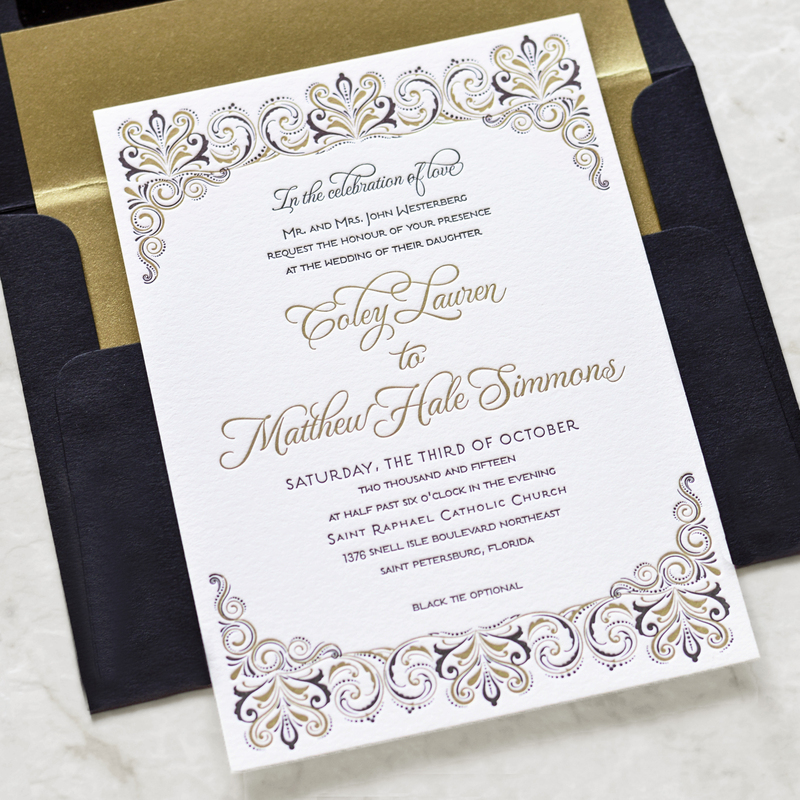 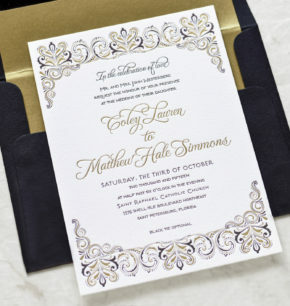 To achieve this look, we took an ornate and intricate design and pressed it in gold and black ink on the top and bottom borders of the invite to enhance the sophisticated appeal of the invitations. 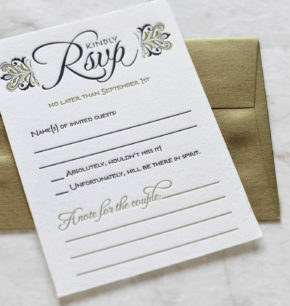 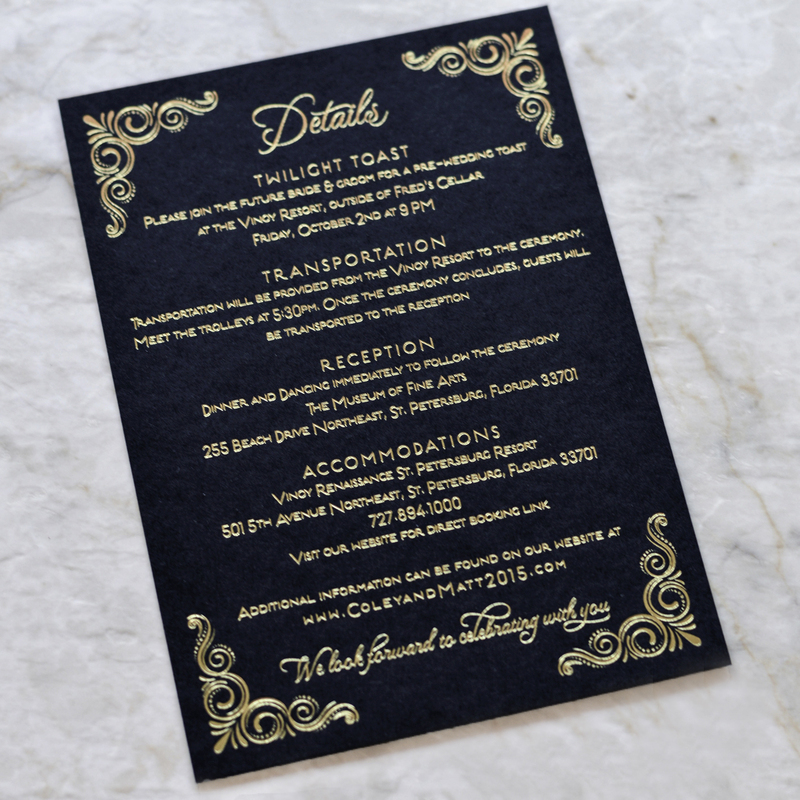 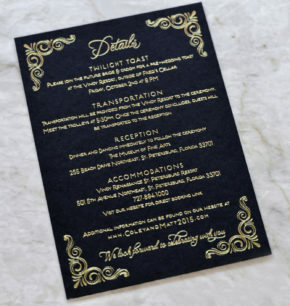 For the RSVP, we incorporated pieces of the beautiful design, and we gold foiled the enclosure card in black paper stock, which accentuated even more the luxurious, glamorous feel we were going for. 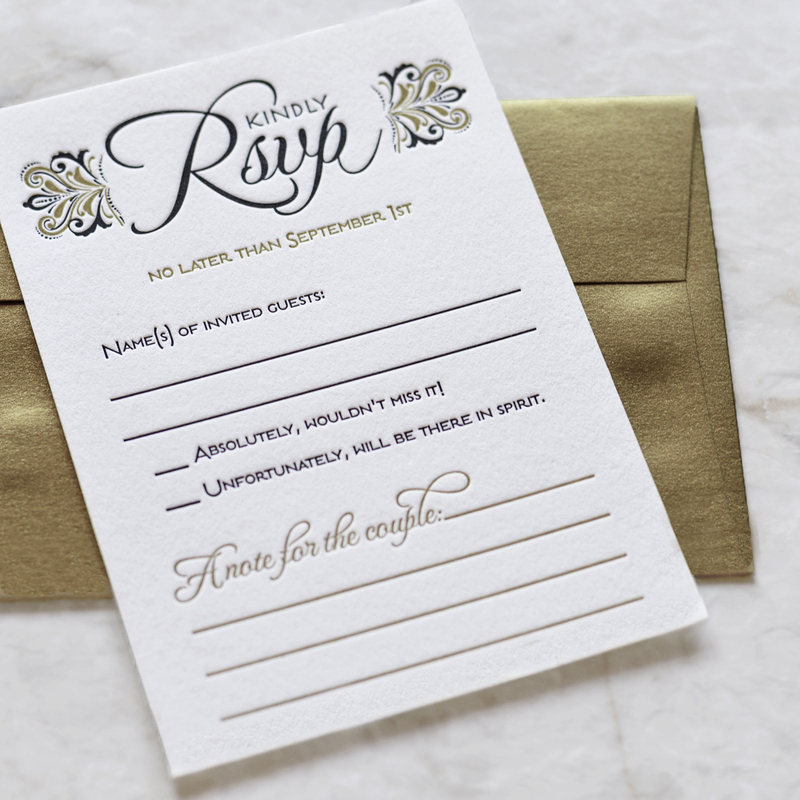 As a finishing touch, we added a pearlescent gold rsvp envelope, and created a beautiful custom letterpress tag to go along with the bellyband. 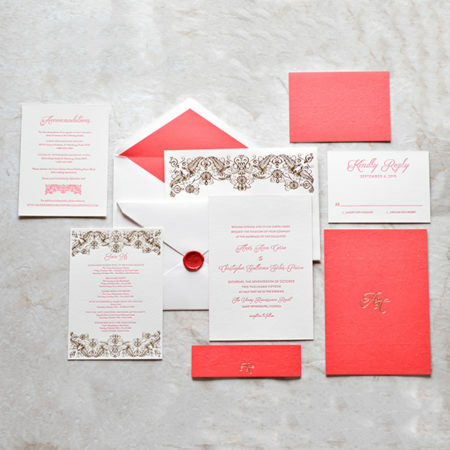 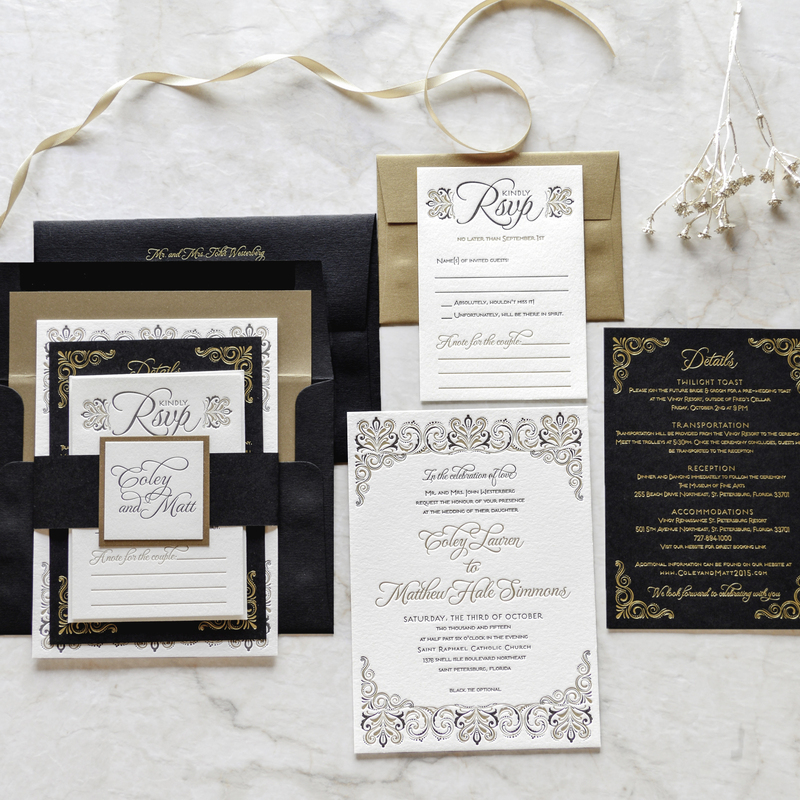 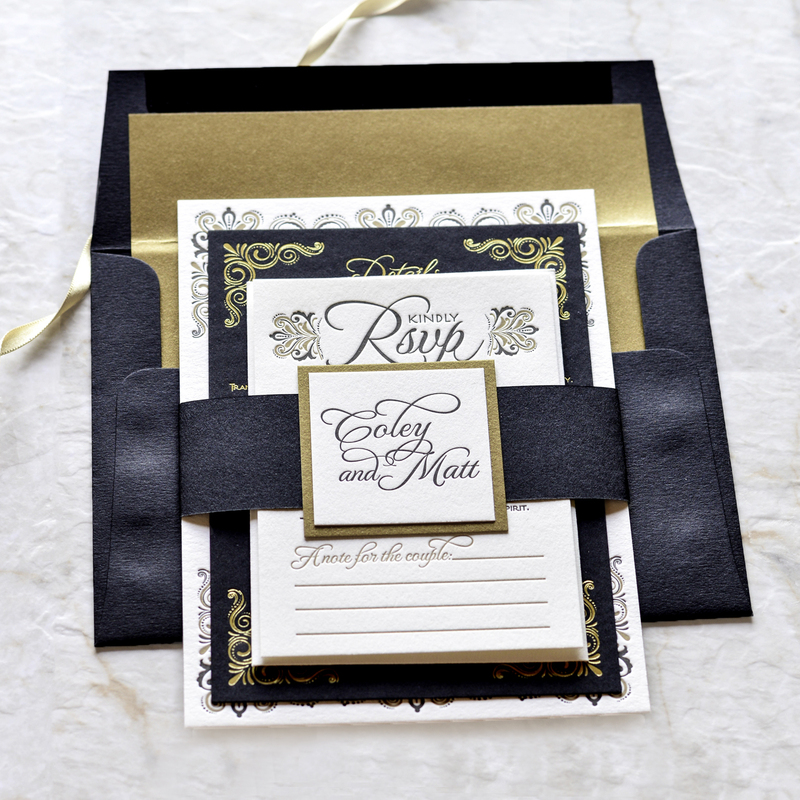 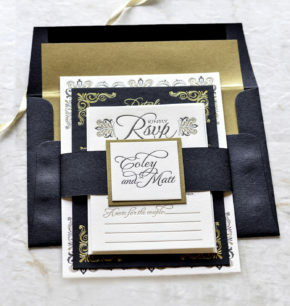 Each lovely and elegant invitation suite was sent to the guests enclosed in black envelopes embellished with gold envelope liners.